Anesthesia and pain management are some of our top priorities when caring for your pet. One of the primary concerns clients have when they come in is whether their pet will be safe under anesthesia. We take great pride in providing optimal anesthetic care and individualized attention for your pet during their procedure. Prior to anesthesia, a complete physical examination along with a review of previous records is performed. In addition, comprehensive pre-anesthetic testing is advised. Testing may include blood work, urinalysis, radiographs, and/or ultrasound. Thorough examination and testing help us fully evaluate your pet and contribute to our goal of providing safe anesthesia for your loved one. Finally, pain levels are evaluated and pain control is addressed prior to the procedure if necessary. The day of the procedure, IV catheters are placed in all pets undergoing anesthesia. This is important because we administer fluids during the procedure to help maintain blood pressure. We also have access to the vein at all times to give medications as needed. Intraoral regional nerve blocks, like the novocaine shots you receive at the dentist, are used during many procedures. Nerve blocks help decrease pain during the procedure and thus decrease the amount of gas anesthesia needed. All anesthesia protocols are individualized for the patient based on their history and health status. Most medications that we use are metabolized very quickly which means they are generally short acting and allow for a quick recovery. During anesthesia, we dedicate our attention to closely monitoring our patients. 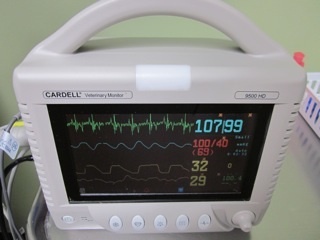 Leading edge anesthesia monitoring and delivery equipment are used. During anesthesia, we monitor and evaluate the values a human anesthesiologist would. Blood pressure, heart rate, EKG patterns, oxygenation, carbon dioxide levels, respiration rate, and temperature values are recorded and graphed frequently. This allows us to regularly adjust anesthesia levels and medications to your pet's needs. 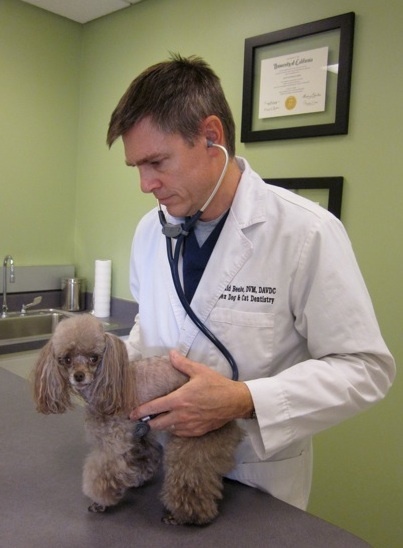 VRCC is proud to have world-renowned board certified veterinary anesthesiologists. They are available for consult or to administer anesthesia in complex cases. 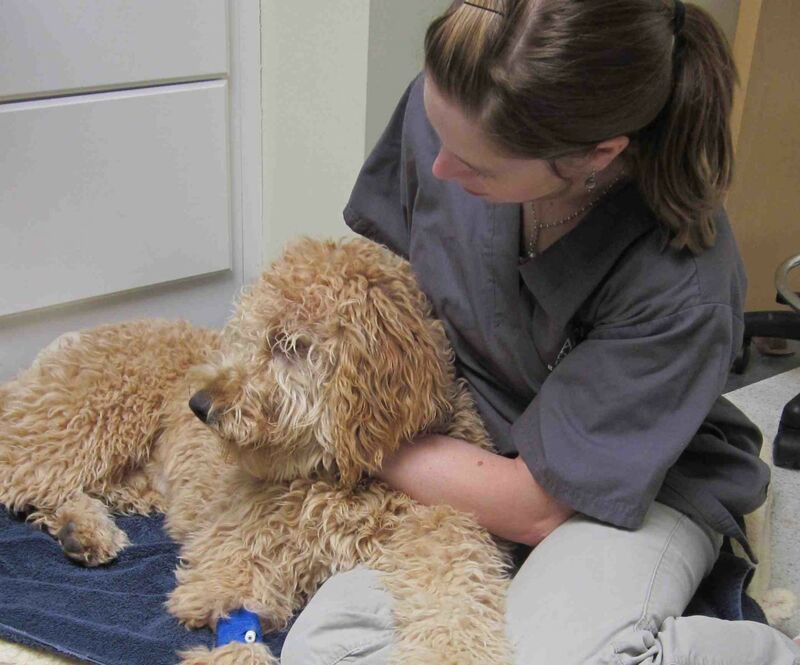 After anesthesia, your pet is closely monitored during recovery. If your pet received a nerve block during their procedure, the surgery site should still be numb which makes for a smooth recovery. Once ready, most pets walk out of the hospital wagging their tails the same day of the procedure. After the procedure, adequate pain control is sent home to help your pet remain comfortable during the recovery period. Although not commonly needed, 24-hour hospitalization is available at the main building of VRCC for post-operative recovery and pain control. Our individualized approach to anesthesia and pain control contributes to our goal of a safe anesthetic experience and speedy recovery. For more answers on anesthesia and anesthesia free dentistry, please click here.